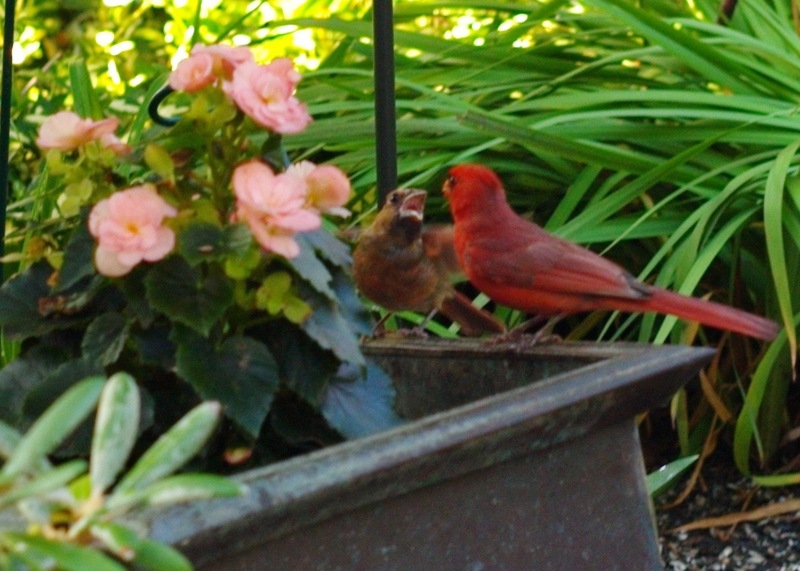 Cardinal family—eating out in Ocean Grove. Birdland, a famous jazz club in New York, was named for Charlie “Bird” Parker who was the opening act when Birdland began in 1949. They were on Broadway and 52nd Street for 15 years before moving uptown. Count Basie and his band made that their NY headquarters. “Lullaby of Birdland,” a jazz classic, was written by pianist George Shearing and the lyricist George David Weiss. Weiss also wrote “the Lion Sleeps Tonight” and “What a Wonderful World.” He presented a songwriter’s award at the Friar’s Club to Stephen Goldfinger of Ocean Grove.